You tell us what you want and our party planners will work with you to make it happen. Maurizio’s Pizza & Sports Bar seats 150 people in the main dining room plus 25 more in the bar. Maurizio’s complex includes Voce club as an additional banquet space. Voce is also a music venue accommodating an additional 150 seats and seating for 25 at the bar. We have outside seating, under awnings, on both sides of the restaurant/club offering another 100 plus seats (weather permitting) for a grand total of 450. Maurizio’s will set up an amazing buffet on our 35 foot long granite counter in the main dining room. 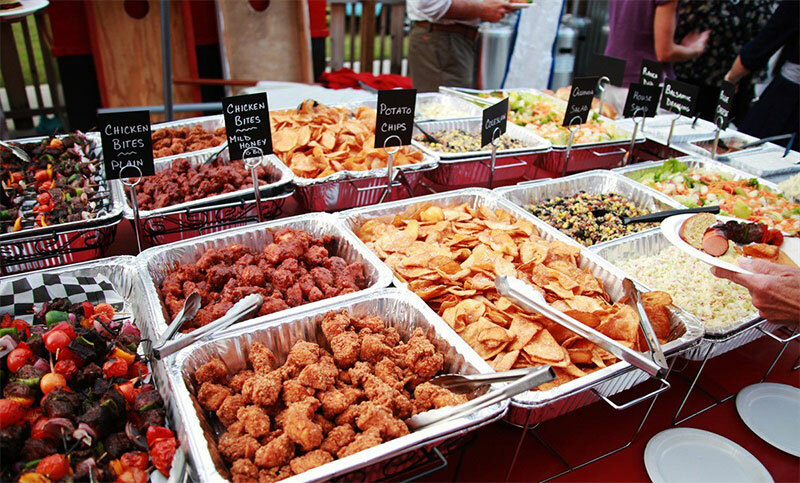 Whether your party is large or small we will provide you a special buffet. Make entertaining easy, call 314-621-1997 to help plan your next party. You think up a theme and we will help make it happen.